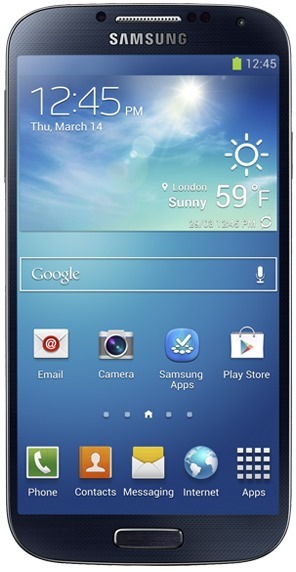 In order to heighten the appeal to its flagship Galaxy S III, Samsung released the aesthetically similar, scaled-down version S III Mini late last year. Those who take a close look at a devices tech specs will have noticed that, in actuality, the similarities between the Galaxy S III and the cheaper, smaller offering end at the design and name, but that hasn’t stopped the Mini from yielding strong sales since. Never one to baulk at a tried-and-tested success, Samsung looks set to offer a similar product in follow-up to the forthcoming Galaxy S4, with reports today suggesting the Galaxy S4 Mini will arrive almost immediately after its flagship counterpart. Although lovers of big smartphones tend to use Android, not all users of Android love big smartphones. Thus, not only would the Galaxy S4 Mini appeal to those without the kind of disposable cash required to dive in with the rather expensive quad / octa-core smartphone, but it will also allow those looking for something with a display considerably smaller than the 4.99-inches offered by the Galaxy S4 to still enjoy the look. As was the case with the Galaxy S III Mini before it, the Galaxy S4 Mini looks set to be a bit of tactical branding rather than a genuine, inside and out replication of the main event. The S4 is packed to the gills with high-end specs, but with many everyday users simply not in need of a near 5-inch display and octa-core Exynos 5, the Galaxy S4 Mini would mean these kinds of consumers still remain aboard the company gravy train. The Galaxy S4 Mini, while a great deal smaller than the ‘Maxi’, will not be ridiculously small itself, if rumor is to be believed. Allegedly, it will pack in a sizeable (yet somewhat more manageable) 4.3-inch display, as well as a dual-core processor clocked at 1.6GHz, which would be fairly decent if it does come to fruition. Its 8-megapixel rear snapper, allied to a 2-megapixel front-facing camera, could utilize parts already available in Samsung’s supply chain from the Galaxy S III, and with a microSD slot and removable battery also thrown into the mixing pot, the Galaxy S4 Mini is likely to be a very popular choice indeed.